Most definitely for life's great adventures! When you go camping or walking you don't have to go full on 'Bear Grylls' style! 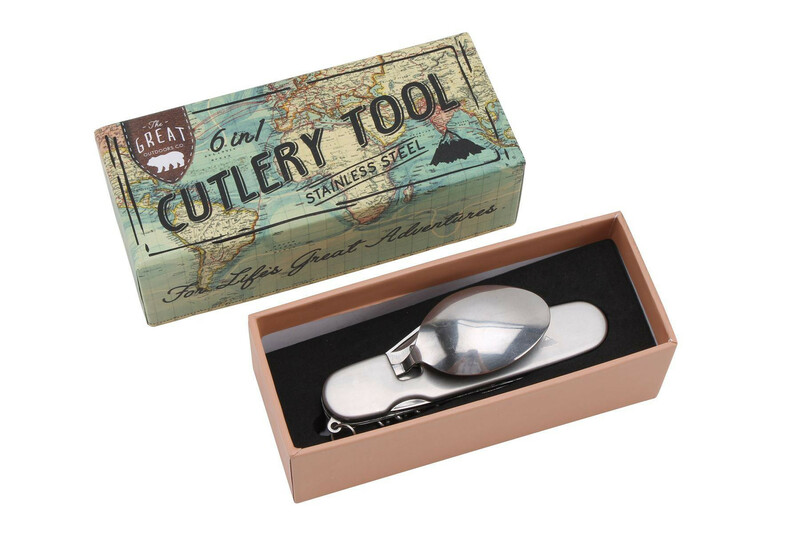 This handy 6 in 1 multitool will allow you to eat your breakfast, lunch or dinner in a relatively mess free way. 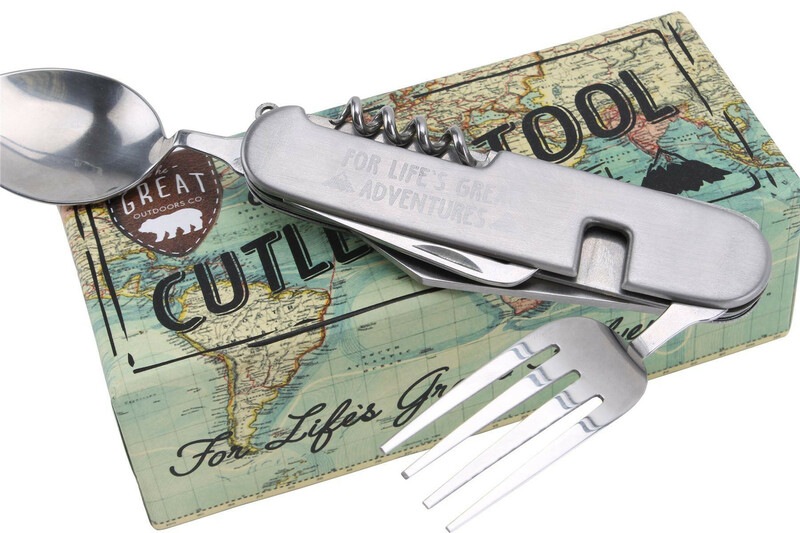 It also has a corkscrew and bottle opener to boot, so if you're more 'happy glamper' than 'survival adventurer' you can be comparatively more sophisticated than your campsite neighbours ~ more wine darling?! 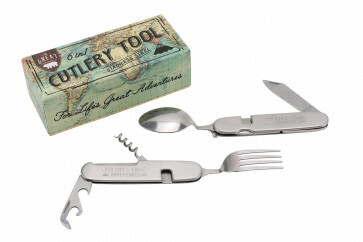 Also features a pick and a penknife blade too. Presented in a fabulous vintage world map print box, it makes a terrific gift.